Dr. Janet Rossant, world-renowned expert in developmental biology, discusses the future of stem cell research. 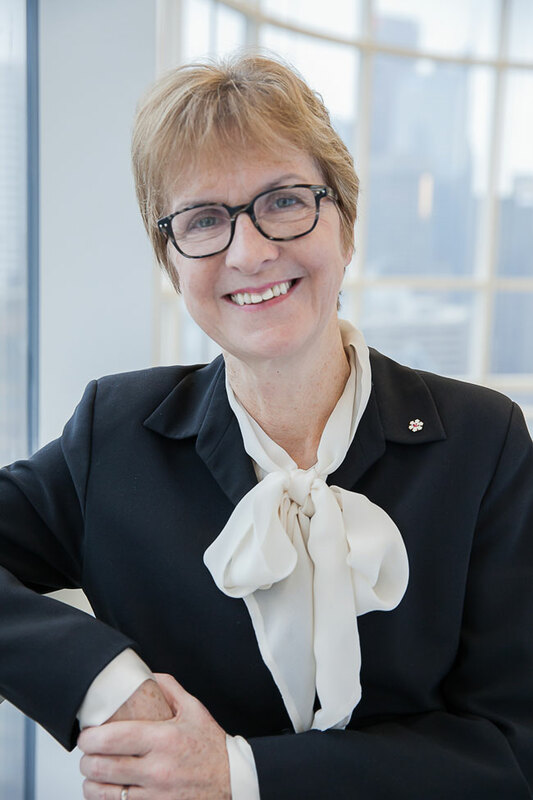 Dr. Janet Rossant is a world-renowned expert in developmental biology and one of Canada’s leading stem cell researchers. On Wednesday, Nov. 9, at 4 p.m., Dr. Rossant will deliver the 2016 Friesen Lecture at the McGill Faculty Club, on the subject “From embryos to stem cells to personalized medicine.” The lecture is free and open to the public, but registration is requested as space is limited. The Friesen Lecture is given each year by the winner of the annual Henry G. Friesen International Prize in Health Research. The Prize has been awarded since 2005 to honour health researchers whose work has had major social impact. Dr. Rossant is the Chief of Research Emeritus at the Hospital for Sick Children in Toronto. Widely known for her studies of the genes that control embryonic development in the mouse, Dr. Rossant has pioneered techniques for following cell fate and altering genes in embryos. This work continues to resonate in medical genetic research. Her current research focuses on stem cell development and cell differentiation in the developing embryo, important areas for the study of birth defects as well as regenerative medicine. Firmly planted on the front lines of technological change, Rossant has established SickKids as a global forerunner in genetic research. Dr. Rossant spoke to the McGill Reporter in advance of her lecture on Nov. 9. What is your lab at SickKids currently focusing on? What are some of the outcomes or results you are most looking forward to? Induced pluripotent stem cells allow generation of stem cells capable of making all cell types in the body from adult cells of any human, including patients with genetic diseases. Such cell lines allow modelling the genetic disease progression in the Petri dish. My lab has long been interested in the origin of pluripotent cells in the developing embryo and we continue to explore the fundamental cell signaling and transcriptional pathways that allow generation and maintenance of the pluripotent state in both embryos and stem cells. But in addition, we have been able to differentiate iPS cells from kids with cystic fibrosis into lung epithelial cells in culture. This allows us to assess responsiveness to new drugs and jn future to develop a patient-specific therapeutic regime so that the right drug is given to the right patient at the right time. What effect does the recent Nobel Prize for your colleague in developmental biology, Dr. Yoshinori Ohsumi, have on your field of research? Dr. Ohsumi’s research provides fundamental information on how cells recycle “garbage,” and is important for all cell biology and cancer. In addition, in my role as President of the Gairdner Foundation, I am particularly delighted by the Nobel Prize to Dr. Ohsumi, as the Foundation recognized him last year with a Canada Gairdner International Award. Dr. Ohsumi is the 84th Gairdner Awardee to go on to receive the Nobel Prize. McGill was recently awarded a seven-year, $84 million dollar grant from the Canada First Excellence Research Fund, to launch an interdisciplinary neuroscience research initiative called Healthy Brains for Healthy Lives. How might new developments in stem cell research in the coming five or so years be part of this research program? What are some current exciting interfaces between stem cell research and the human brain? Stem cell research is moving rapidly towards cell-based therapies for neurodegenerative diseases, including those that affect the brain. Parkinson’s Disease is a particularly attractive target because the defect is largely confined to dopamine-producing cells in a particular brain region. Researchers worldwide are moving towards generation of enough effective and safe dopamine-producing neurons from human pluripotent stem cells to be able to begin early stage clinical trials. Clinical groups in Canada have already shown that transplantation of fetal brain cells can have a beneficial effect on Parkinson’s patients and are ready to participate in trials with the pluripotent stem cell-derived neurons. Stem cell research is also providing more and more insight into how brain stem cells at different stages of life generate new nerve cells and supporting cells. Adult neural stem cells can be stimulated by exercise and other external interventions in animal models. Understanding how external influences affect not just the activity of brain circuitry but also how it may promote formation of new neurons and circuits will be critical for healthy brains from fetal development to old age. On Wednesday, Nov. 9, at 4 p.m., Dr. Rossant will deliver the 2016 Friesen Lecture at the McGill Faculty Club, on the subject “From embryos to stem cells to personalized medicine.” The lecture is free and open to the public, but registration is requested as space is limited. Get more information and register.